it just proves that our mutual business admiration and partnership is yet based on deafness and stubbornness. May it continue forever! the finisher and RickB like this. Please let me know if your experiment is successful. Maybe a buyers link? Yep it works very good indeed..
Alcophone and US Blues like this. My good Doctor- would you be so kind as to offer up the location of the 3 pressure points? Thank you. Juan_R, 33na3rd, Alcophone and 1 other person like this. OHHH boy ohh boy oh boy!!!!! Really looking forward to Sol!!!!!!! Is the Hurst motor as good as the original DC servo motor or did you take a hit on motor quality by having to switch? Pictures definitely soon, probably after the meet on Friday. Special assembly solutions? Yep, probably after the first 10 are built, and we have a better handle on it. Zojokkeli and HumanFly like this. 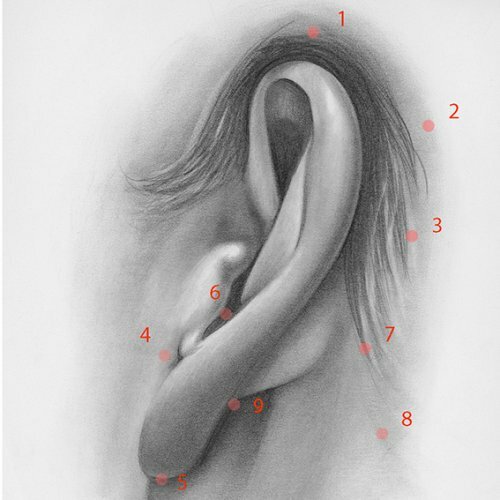 1,2 and 3 on the "bone ridge" behind the ear. 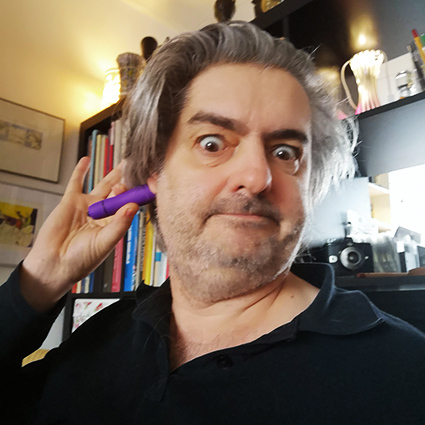 4 and 5 on the weak spots and 6 closes the ear. 7 and 8 relieves more stress and 9 is a last resort for you have to press hard until it hurts. MWSVette, peterzzz, TheTimeSink and 3 others like this. The Hurst is certainly much better than the DC motors we can actually buy today, so it is a much better choice. As someone previously speculated, the previous DC motor manufacturer (a respected Japanese name) cannot make them that way anymore due to lack of interest, exodus of talent, or a combination of the two. thebmc, linuxjacques, sam6550a and 3 others like this. All questions regarding design decisions should be directed at Mike, in Mike's thread, where I'm sure he'll at least see them. I'm not the turntable guy here, I'm just a reporter. And the guy helping to figure out how best to produce it. thebmc, Mike-WI, US Blues and 5 others like this. So Sir Reporter, any latest scoop on Aegir? Personally Im not much of a vinyl guy but advance congrats on making one. Can we expect an integrated amp on the principles that you use in the Aegir? Something with more headroom that the Ragnarok? the finisher and Rensek like this. Great chapter @Jason Stoddard . Love the tech description of all different design approaches. A 6 year project. Wow. This is another reason products can end up ridiculously priced. Luckily for us, you and mike approached this as a fun project. Controlled by a central scrutinizer (accountant) Sol would've been priced much differently. Thank you. Can't wait to see and hear a Sol. I had a friend who was living in a communal house setting in university. He really wanted a turntable but did not want to deal with housemates accidentally breaking it. When he moved out, I was able to hook him up with some simple entry level stuff that still sounded good. As always, thanks bunches for the continuing stories from Schiit HQ! Always a great peak behind the curtain and educational. With regards to SOL...and this is probably a cart-before-the-horse question....do y'all plan on putting together some basic instructions to introduce newbies to higher end turntables? completely plug-n-play (ie: a late 70s Sears Grand Prix stereo system with turntable, 8 track, cassette, tuner, all in one (which was awesome), or more modern Crosley players (#not-good))? as ive never played in this sandbox before I dont fully know how/why/if something like this is required and how it lives with other components like standard amps? Looking for Turntable 101. I know my question doesnt apply to 99% of folks on this thread however Im sure it applies greatly to those, like myself, who are interested in moving into uncharted waters with better gear (helllllooo SOL). Its not unlike my first steps into headphone amps and dacs...which coincidentally happened to be Schiit products (Magni gen 1). Thanks again...all the best to the Schiit gang! decodm, the finisher, barondla and 1 other person like this.